Welcome to the premier site for small wildlife GPS tracking collars. Collars start as light as 20 grams including automatic, remote data download to a base station in the field. 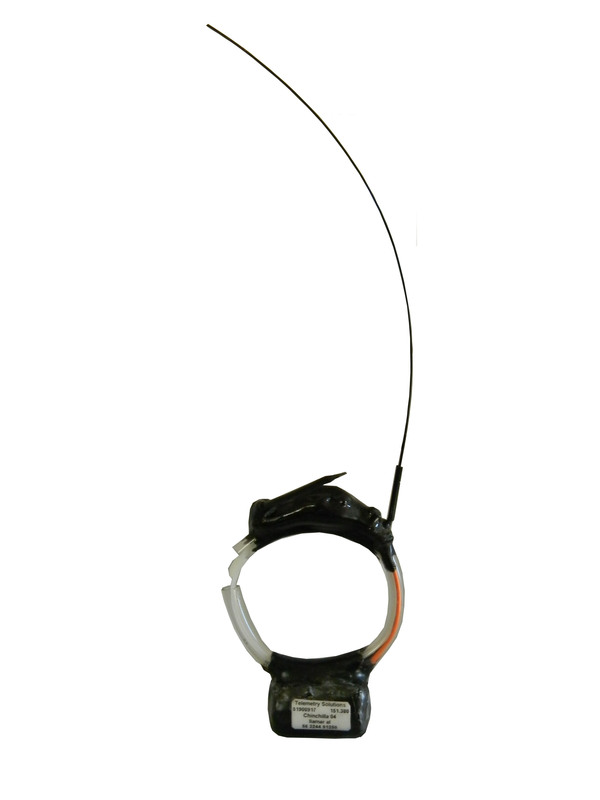 Some collars include a VHF transmitter in addition to the GPS data logger. In that case, they each have their own battery. That means peace of mind for you when you are in the field using VHF to locate animals. This collar is made from a soft plastic tube with a cable tie inside. It is adjustable and reusable. You set up your GPS schedule any way you like, this collar will give you up to 14 months battery life depending upon your GPS schedule. The GPS schedule is set by a wireless connection that you will establish using the base station. After deployment you can always change that schedule remotely if you like. The base station is the key to the remote communication. The base station is fully automated. No computer or additional antenna is required, just the base station. When the base station is within range of the GPS collar all previously un-transmitted GPS data in the collar will copy over onto the base station. The GPS collar memory will never fill up and all of the GPS data transmitted will also remain in the collars’ memory. The base station can be carried into the field or just left in the field. On a standard rechargeable battery, the base station will operate 24 hours per day for up to 5 days. With a 12 volt external battery powering a stationary base station the battery can be solar charged and the base station will not stop looking for GPS collars. Several base stations can be used to create a network where data will always be downloaded remotely. You plug a USB cable into a laptop and the base station to download the data from the base station but in the second half of 2017 you won’t need a laptop, you will communicate with the base station using your phone or tablet. The wi-fi radio in your mobile device will communicate up to 300 meters away from the base station.